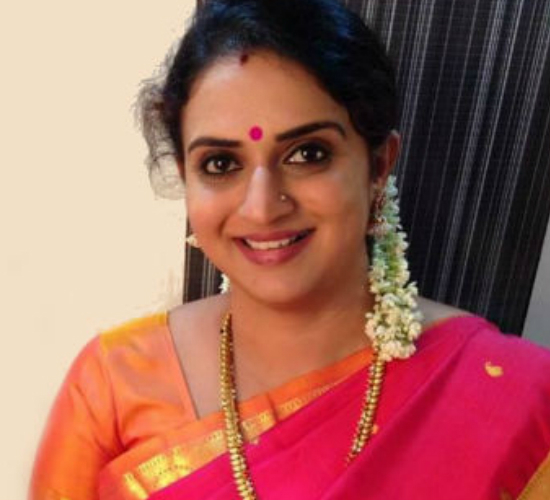 Pavitra Lokesh, who has acted in supporting roles in many Telugu, Tamil and Kannada films, in a recent interview with a Telugu TV channel, spoke about Casting Couch in general and explained why it is a sensitive issue. Tollywood has been clouded with many issues at the present moment and topping the list is Casting Couch which was started by Sri Reddy with a protest. Claiming to have been exploited by many top actors and filmmakers, Sri Reddy created ripples in South Indian film industry with her stripping protest recently. The issues were acknowledged and addressed at a press conference recently by actor-producer Nagu Babu and producer Allu Arvind. However, the news around casting couch still continues to be in the headlines. Actor Pavitra Lokesh, who has acted in supporting roles in many Telugu, Tamil and Kannada films, in a recent interview with a Telugu TV channel, spoke about Casting Couch in general and explained why it is a sensitive issue. “Casting couch is a very sensitive issue which I definitely would want to speak. This whole universe has gat two (gender) – Man and a Woman – and there will be liking and disliking obviously. Both of them will have rivals. Not just the film industry, every industry has situations where people do take advantage of the other gender. This is nature! If I give in, then it is my problem and whoever is taking advantage, will do that when I give in. And if I say no, then that person is not allowed to do that. So, I have to check my priority and understand what kind of purpose that would serve for me. If I’m giving in with an expectation, then I’m also getting something out of it. And if you don’t want to do that, then there are various other things that one can do,” Pavitra Lokesh explained. The veteran actor further explained that once has to prioritise their work before giving in to Casting Couch demands in the industry. “If you’re priority is money, there are many other ways to earn and not just this. But if you’re seeking pleasure, then it’s a different perspective. So, I feel casting couch is a very big name given to it. It’s up to that individual to give in or not. If one gives in, then they cannot talk about it. If two people are involved in it, then there is an agreement between the two people and it is mutual. If it’s not, then it’s an abuse. No one is a small girl to be explained everything in this situation. You gave in and then you come out and cry loud that you were used,” the Sammohanam actor explained further.